Short-sleeve mini dress in an ochre Zimbabwe print. 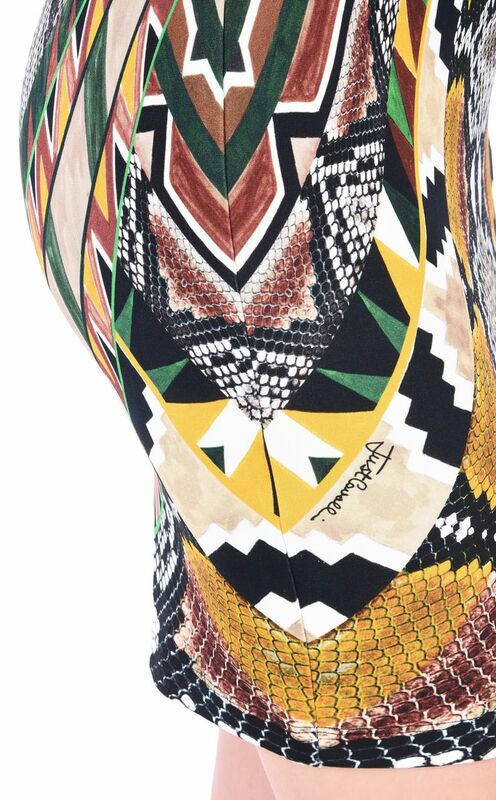 Featuring a conceptual geometric print recalling the shapes and colours of this southern African country. V-neck and slim fit.